This Sunday we celebrate Pentecost. For more activities, click here to see Growing Faith at Home. 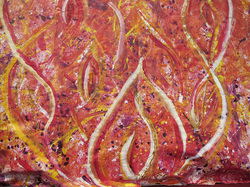 Read the story of Pentecost at home. Ideas for learning, serving and having fun together as a family. Make a skeleton as a reminder of the new life that Christ breathes in you through the gift of His Holy Spirit. Make a tongues of fire headband.